Do you want to learn more about your Orthodox faith? Studying theology enables us to strengthen our Christian identity and deepen our knowledge of God and life of prayer and mission, as well as equip ourselves for positions of leadership and teaching within the church. Adult learners seeking a mature and rich knowledge of Orthodox tradition may enrol as non-credit auditors in any of the individual courses at the Orthodox School of Theology at Trinity College. Most classes are taught in evening, for benefit of students with jobs. We welcome all Orthodox Christians, as well as western Christians who are interested in the history, faith and life of the early church and the Christian East. The requirement for non-credit students is only regular attendance, class participation and doing the readings; no essays or exams are required. 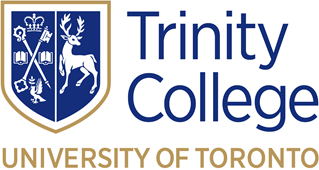 Successfully auditing 7 or more courses will lead to an Award for Orthodox and Eastern Christian Studies, with a document from the Faculty of Divinity of Trinity College attesting to the achievement. For more information about auditing, please contact us.